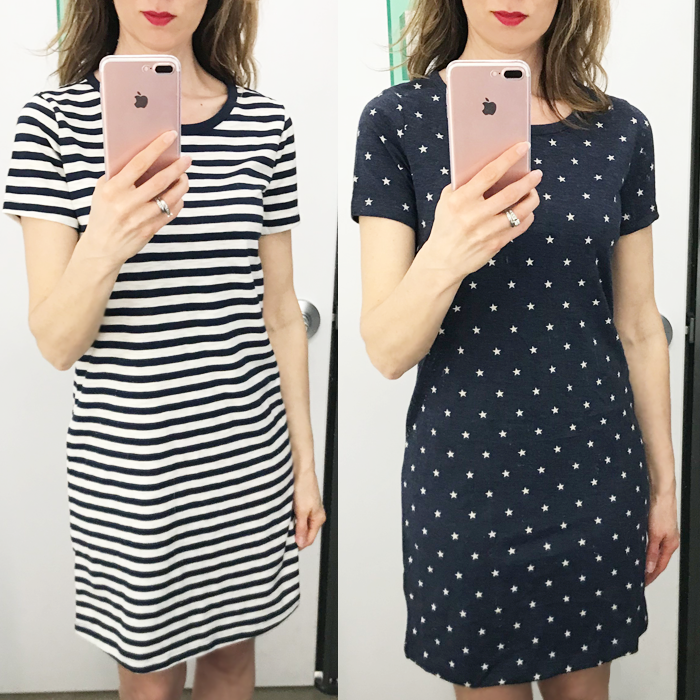 Okay, if I am being totally honest, these dresses are cute and a great price (under $20), but they are just not me. They look great on so many people. I included the pictures because I wanted to share the fun star one, which would be perfect for the upcoming 4th of July. Also, the striped one can be styled like this with this utility vest that is on sale! I might be buying some of these clothes soon - our remodel is nearing two weeks, and I am running out of clean clothes without a washer/dryer. Good news though, the floor is in - and hopefully, I will be back in business with a washer/dryer really soon! This was a big try on session at Old Navy. And, I plan to go back in the next couple of weeks, because I saw even more cute summer things I wanted to try on and share with you - but I ran out of time. Plus, the dressing room attendant made me feel a little uncomfortable with the “only 10 items in the dressing room rule”. When I do a try on session, I like to do it all at one time, rather than parsed out at 10 item increments. 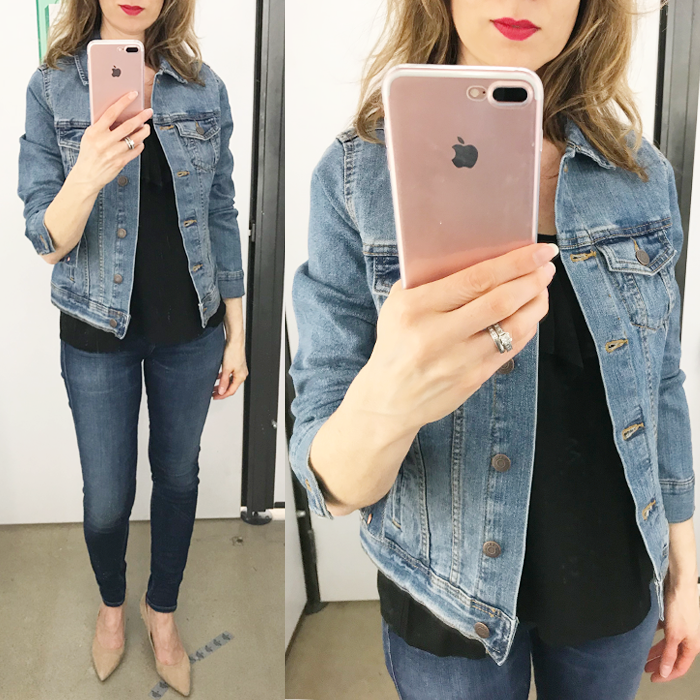 (I wanted to share a few accessories with these looks - but I was over my 10 limit!) I should mention that I am a very neat shopper, and do not leave the dressing room a mess, and always make sure to hang everything back up, and even offer to put it back in the store. 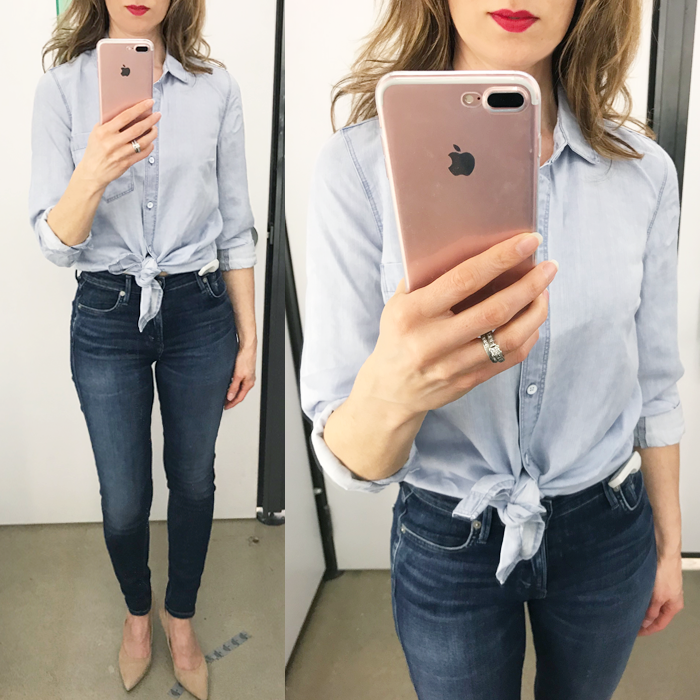 I just found this chambray shirt dress that is on sale for only $20! I really like this one piece swimsuit that is a great price - and very flattering! 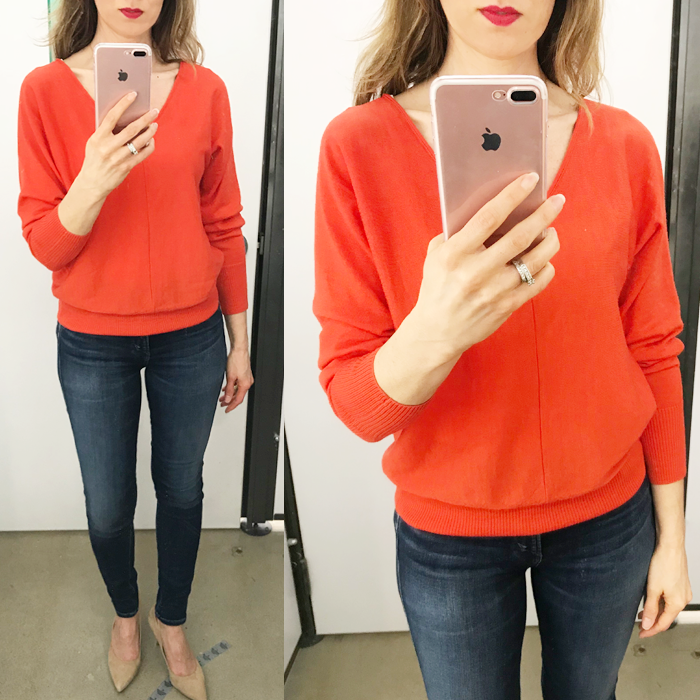 I love the color of this sweater. I am really starting to wear more v-necks like this one that is only $16. This is a pretty white ruffle cami. The best beachy shampoo - smells great and makes have so smooth, too! I love these little lipsticks - they are the best travel size. And, they last forever! This is a great gingham shirt dress with a fun bow tie (also comes in solid chambray) for only $35. I keep seeing everyone wear this dress - makes me think I should buy it. An adorable pineapple wrap dress for under $50. These are the cutest mules - totally out of my price range - but I love them! This ruched dress is on sale for $34. 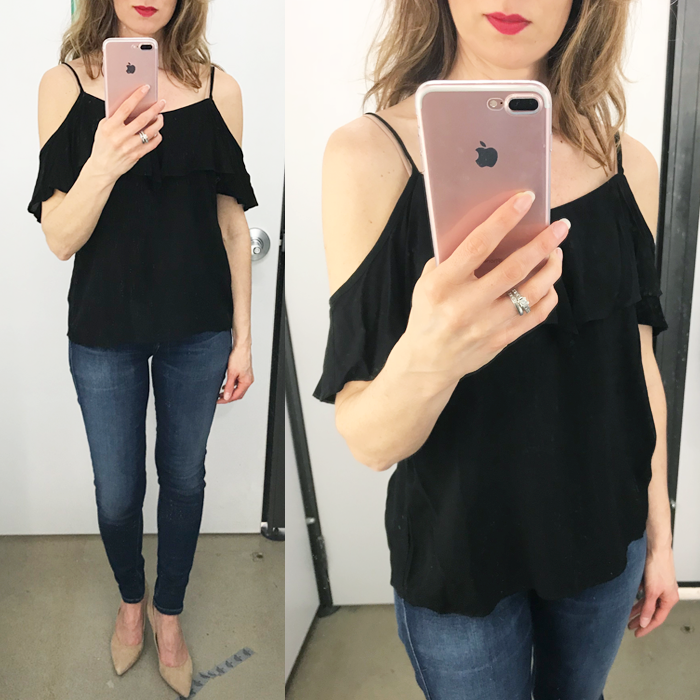 Be sure to link up your fashion posts HERE. I haven't been in an ON store in ages, I need to get in there and check it out. They always have such cute summer clothing! That double wear v neck sweater is fantastic! Have a wonderful Wednesday! I hate the 10 garment rule too. You look awesome in everything. 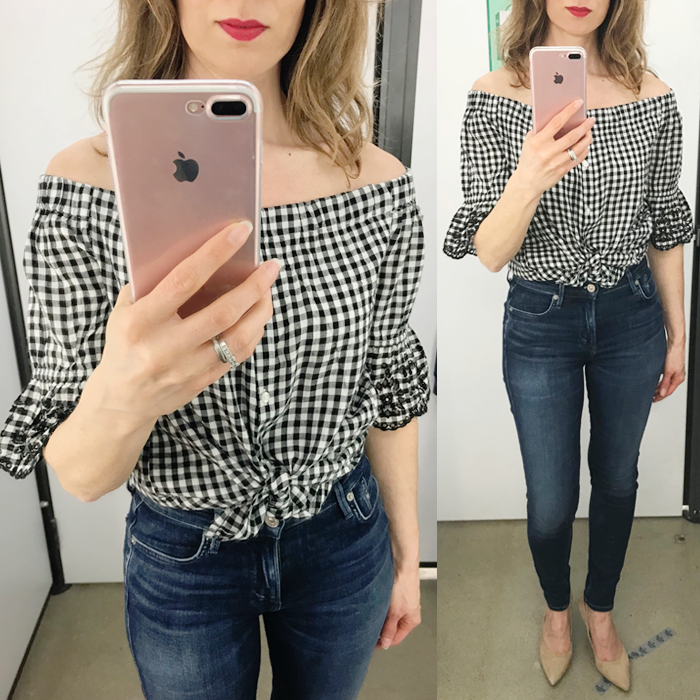 Love the gingham blouse so much! 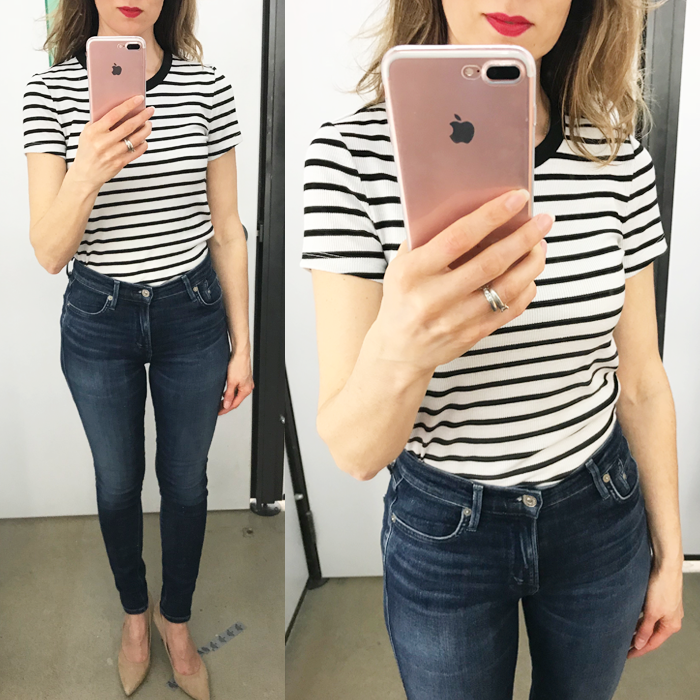 I love the clothes at Old Navy right now. 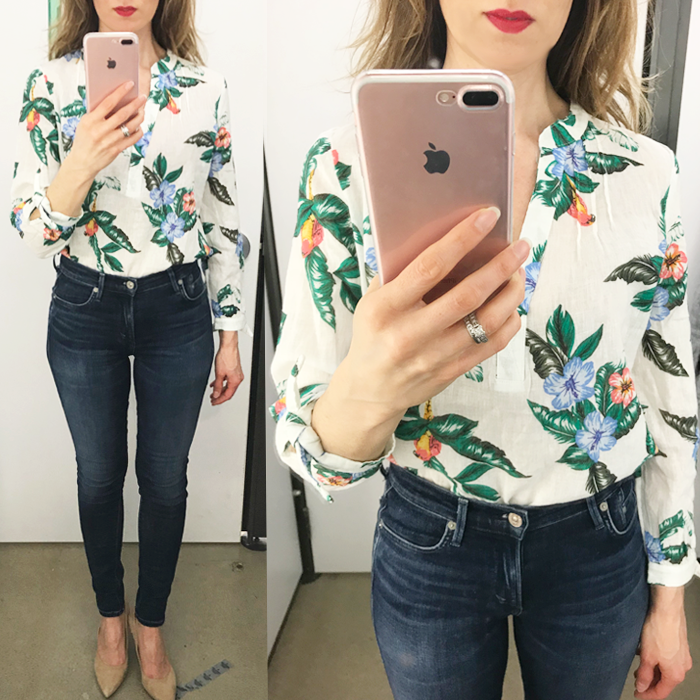 Love that floral blouse! I actually think those sheath dresses look great on you! 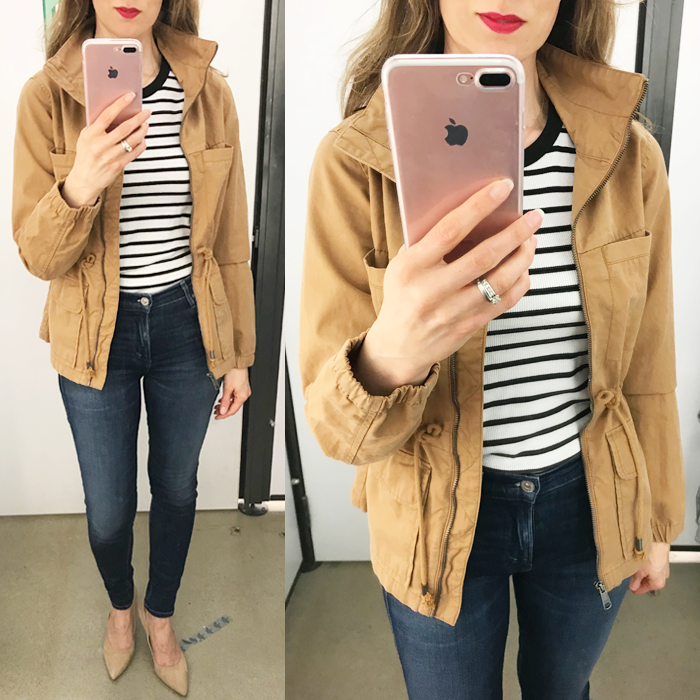 Old Navy has been killing it all season! 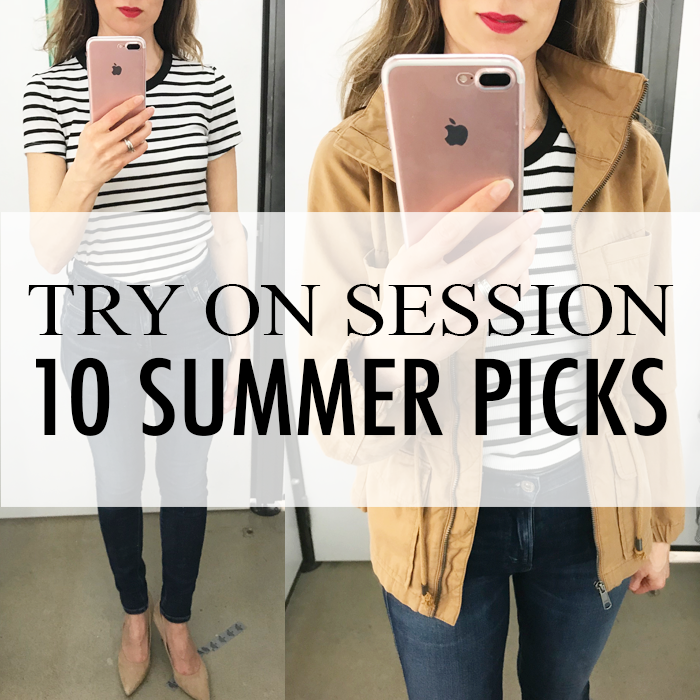 Love everything you tried on -- especially that striped dress. So versatile!